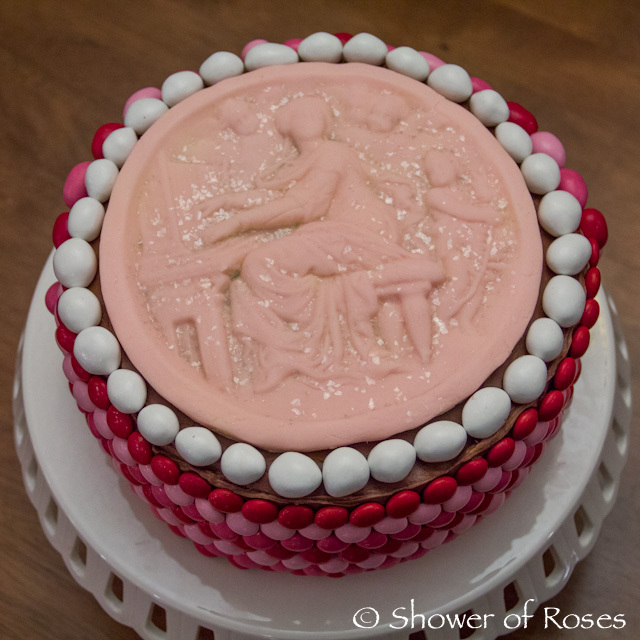 Shower of Roses: Made with Love :: Another Birthday Cake for Mom! 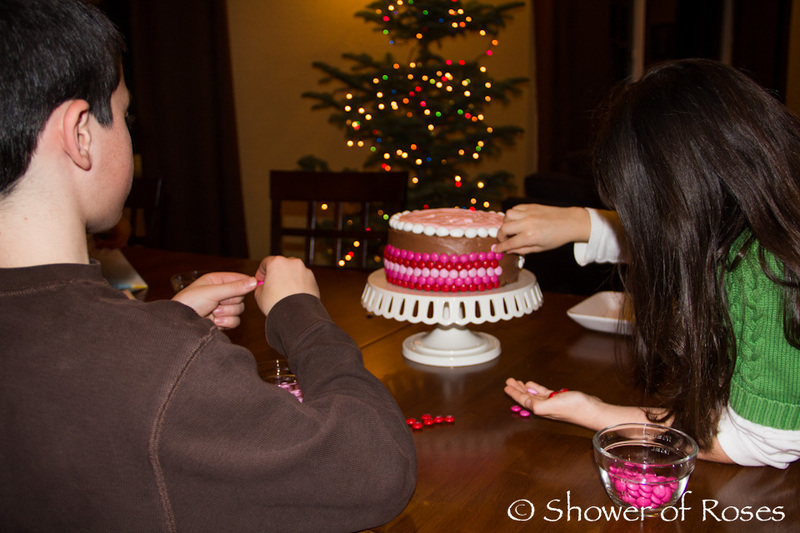 This evening, after Math and Science lessons with the tutor, the children borrowed the camera and kicked me out of the kitchen so they could decorate another birthday cake for me, just like they did last year! 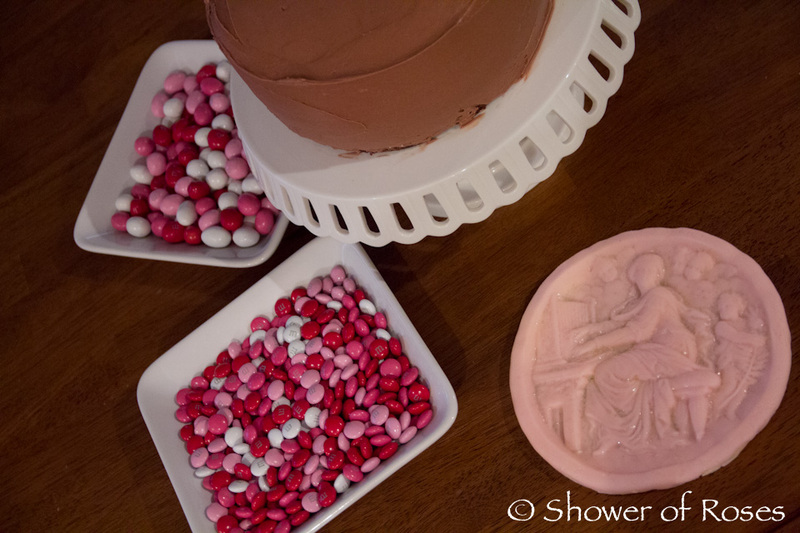 It was a full day for them so I baked the chocolate cake, whipped up some chocolate cream cheese frosting, and then had fun molding some fondant with my gorgeous new St. Cecilia mold (which my husband gave me for Christmas!!!) before they took over and did the rest. I thought they did a beautiful job! I sure love this little family of mine! 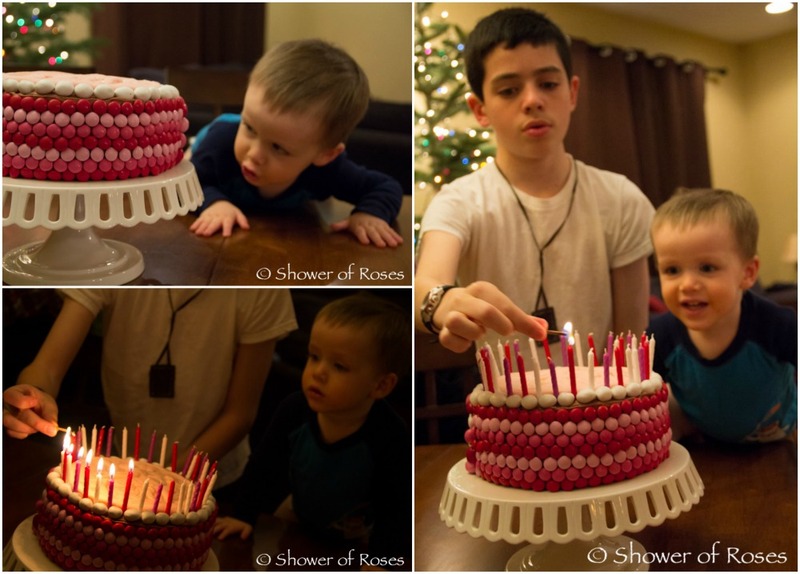 Wonderful birthday cake, great job kids! I hope your day was truly wonderful! Happy birthday to you! What a beautiful job the children did. They have a great teacher to learn from! Happy birthday, sweet lady. May you have many, many more! And we are hoping to get around to taking the Christmas tree down this weekend. . . It's been awhile since I've had a birthday with it still up! I was going to comment that it was nice to see your Christmas tree still up! Just this past Sunday in his homily, the priest said he hoped some people still did (have their tree)! We've taken the ornaments off, but it is still up! I love it when we are able to keep it up until the feast of the Baptism of the Lord! It does need to come down soon though, since it is starting to get pretty dry. LOVE the cake! Your children did an amazing job! Thank you heavenly Father for the tremendous awesome miracle of you! Happy birthday and God's most joyous blessings accompany you through the new year!!! The smiles on your kids faces say it all. You are a dear heart of a mom. You are a wonderful friend, too, to all of your readers. Love you, Jessica! 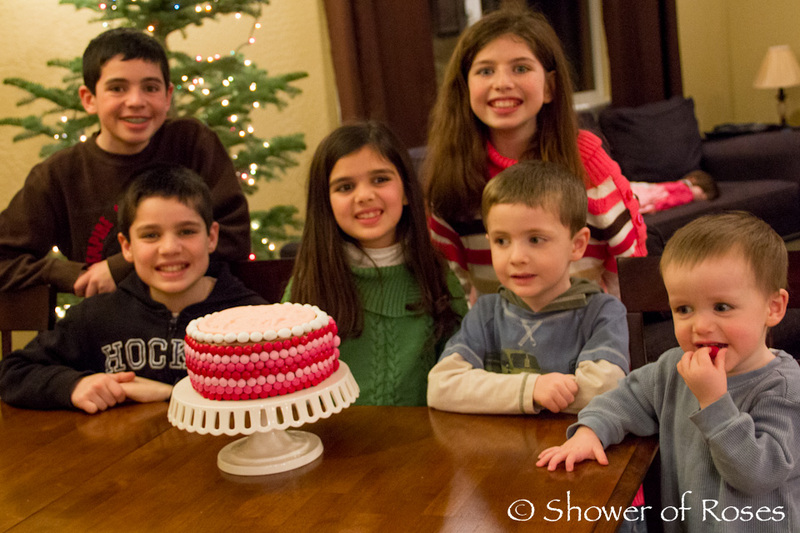 Tell your kids the cake us so pretty it belongs in a magazine!!! Thank you for your sweet comment and prayers! God bless you! Great cake! so pretty!! 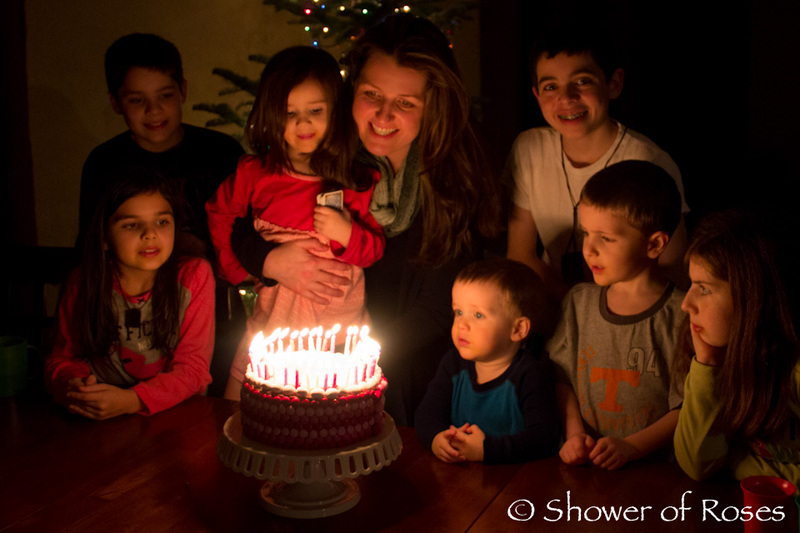 I love the picture with all the kids and the cake--especially with Rose on the couch! Too cute! Was she tired out from all the excitement of decorating the cake? They did a beautiful job! Happy Birthday!! 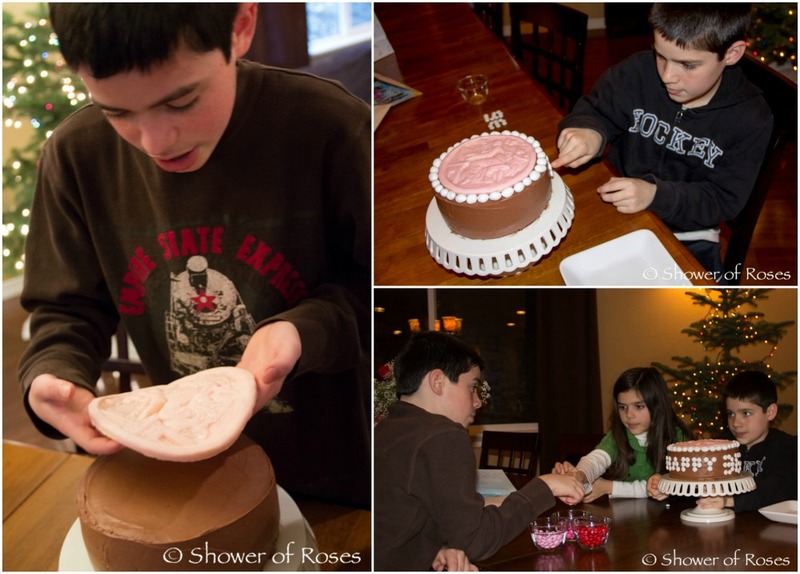 You have taught your children well to celebrate special occasions - they did a great job! Happy Birthday!! 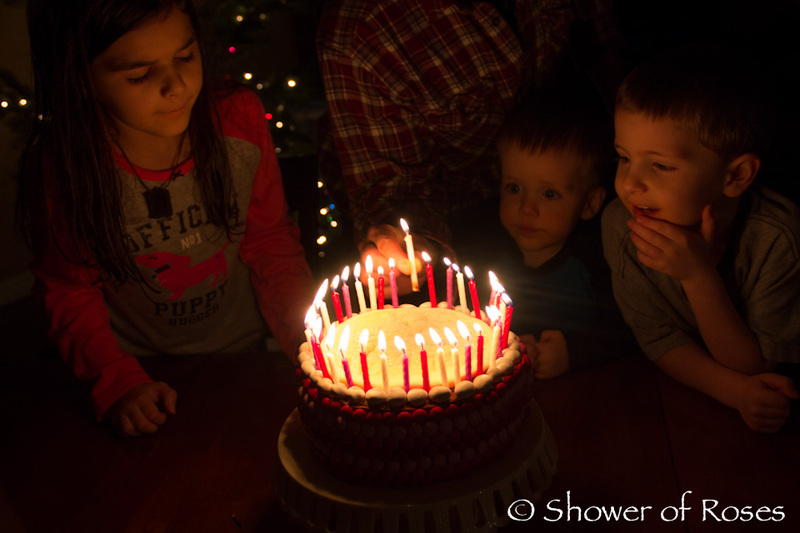 They did such a beautiful job with the cake! I am in awe of your decorators. Happy birthday! Happy Birthday, dear Jessica! 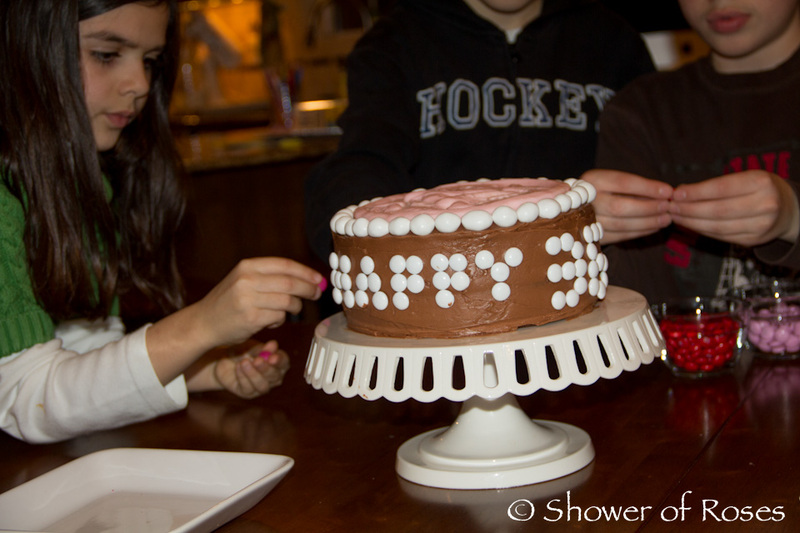 Your children did a wonderful job on your cake - so pretty! Hope you had a joyful, blessed day, and that it was the start of a joyful, blessed year! 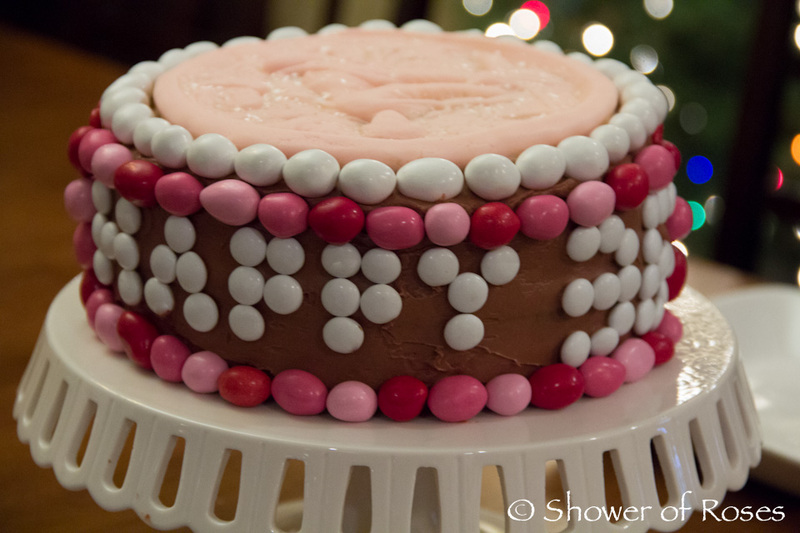 Your cake is beautiful - your children did a sweet job! 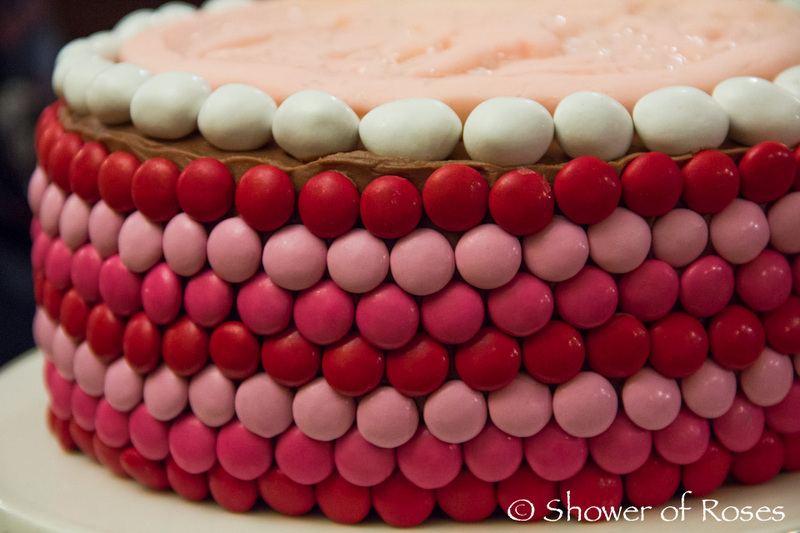 Wow, that's some cake! Your kids did a super job! Happy Birthday, Jessica! You are blessed. I hope you had a wonderful day.